Delhi: Food Safety and Standard Authority of India and Coca-Cola India (CCI), have signed a Memorandum of Understanding (MoU) to train 50,000 street food vendors under FSSAI’s project ‘Clean Street Food’ across India over next three years. In order to ensure safe and nutritious food for all, FSSAI has now embarked on a journey with large Global & Indian Corporates about social impact investment around areas related to safe and nutritious food. The partnership will further strengthen FSSAI’s vision to ensure health, hygiene and safety standard of street food for all; along with ensuring social and economic upliftment of street vendor community by helping them in improving quality of offerings. The MoU, signed by Pawan Agarwal, CEO, FSSAI and Venkatesh Kini, President, Coca-Cola India and South West Asia, seeks to contribute extensively to Hon’ble Prime Minister Sri. Narendra Modi’s Skill India initiative as well as vision of a Healthy India. 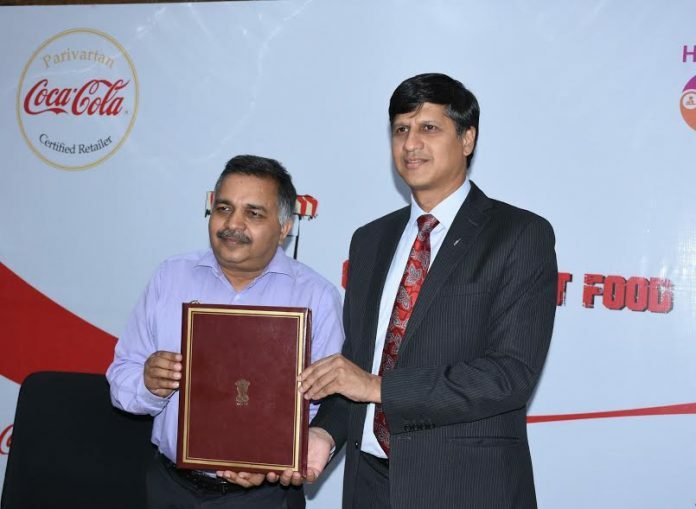 As part of this initiative, Coca-Cola India, will closely work with FSSAI in upgrading the eating out experience for the Indian populace at large. While Coca-Cola will be responsible for the program execution through its network of trainers and available infrastructure, FSSAI will ensure the relevance of the training content and shall oversee the overall delivery. The training module under the project will focus on the owners and employers at small food service outlets and street food vendors, mostly in the unorganized sector, to understand the basic tenets of food safety and hygiene. Under the partnership, the program will be rolled out in phased manner with the first leg to be initiated by mid-April in Ludhiana, Punjab. Over the next three years, it plans to expand to 14 other locations through bottling plant network of Coca-cola India covering 9 states (Uttar Pradesh, Maharashtra, Andhra Pradesh, West Bengal, Chandigarh, Punjab, Chhattisgarh, Delhi NCR). FSSAI has engaged with government agencies, NGOs and private partners under “Clean Street Food”. More than 20,000 street vendors were trained during Delhi project in association with Ministry of Skill Development. A push on food safety and hygiene was provided during Eighth National Street Food Festival, 2016 where vendors representing 24 states across India were trained. FDA, Goa in association with Nestle adopted the project, where about 700 street food vendors were trained during its first phase. 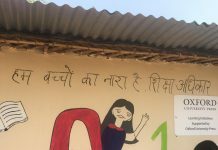 Similarly, Sadik Masih Medical Social Servant Society is one of the NGOs to take up the project in east Delhi in association with European commission and ActionAid India.